Australian architecture firm, Billard Leece Partnership has strengthened its interior design offering by absorbing Melbourne-based interior design studio THID into its ranks. Long-time interior designer, educator and director of THID, Tonya Hinde will take her THID team across to BLP where she will work as an associate director oversee BLP’s interior design team. Vicki Murphie, a leading workplace designer has also joined the firm and will take up the position of Interior Design Leader Sydney/Workplace Sector Leader. The move comes after two decades of collaboration between the two firms, the first taking place in 1997. 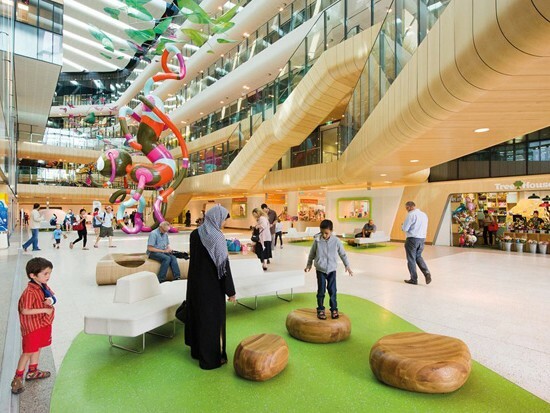 Since then they’ve worked together on a number of big projects including the 2012 Sustainability Award-winning Royal Children’s Hospital in Melbourne.